Mary is a 52-year-old nurse who has had slow onset of pain and swelling in her wrists and hands. She is now finding she needs to get up an hour earlier so she can get ready to go to work. Mary is a single mother and needs to keep working and also keep up with her two teenage boys who are involved in sports. Her family doctor has done some blood tests and tells her that her blood has elevated markers of inflammation. She is waiting to see an arthritis specialist. In the interim, her family doctor started her on a medication that is used to treat malaria. Mary has read there are concerns about vision going on anti-malarials long term. She has also been to see a physiotherapist. Mary could benefit her condition by seeing a rheumatologist and an ophthalmologist or optometrist. Her doctor may also refer Mary to a physiotherapist or occupational therapist and consider pilates to design a plan to maintain her mobility. A conversation with a pharmacist can help answer Mary's questions about her medications. A dietitian could provide Mary with a meal plan; eating the right foods can help ease arthritis inflammation. Symptoms of Rheumatoid ArthritisDr. 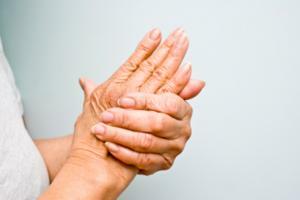 Kam Shojania, MD FRCPC, Rheumatologist, discusses rheumatoid arthritis symptoms. A rheumatologist is a doctor who is trained to treat arthritis, osteoporosis, and autoimmune conditions including wrist and hand pain caused by rheumatoid arthritis. A Pilates instructor has achieved a certain level of certification and qualification to teach people exercises to gain strength and flexibility, and can help people suffering from wrist and hand arthritis pain. A Registered Massage Therapist is a health care professional who specializes in helping patients reduce pain, relax and achieve optimal health, and can benefit people suffering from wrist and hand arthritis pain. A naturopathic doctor focuses on treating the cause behind health problems along with the symptoms. 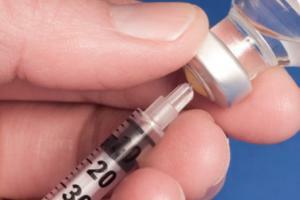 A naturopathic doctor may be helpful in managing your arthritis pain. A rheumatologist is a doctor who specializes in treating arthritis, including Rheumatoid Arthritis. Conversation based on: Rheumatoid Arthritis Causing Wrist and Hand Pain " Mary a 52-year-old nurse "
What are the early signs that RA might be starting? Or is it an immediate onset of inflammation, stiff and sore joints? Reply to: Rheumatoid Arthritis Causing Wrist and Hand Pain " Mary a 52-year-old nurse "
That's very interesting @Dr.JohnWade. What kind of environmental factors would possibly trigger rheumatoid arthritis ? Things like jobs with repetitive movements ? The videos were very informative - I do have one more question, though. 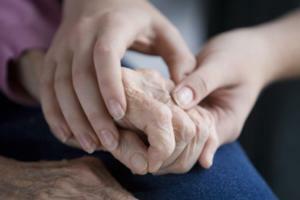 Is Rheumatoid Arthritis an inherited disease? Other than not smoking, how can one reduce the risk of getting it? I think I had carpal tunnel syndrome postpartum. Is that possible? I was never diagnosed, but experienced hand numbness and tingling. I had the same thing Marla. My doctor did diagnosis it as pregnancy induced carpal tunnel. I'm curious - why does smoking increase the risk of developing Rheumatoid Arthritis? Acupuncture would be a benefit for this patient to keep her motivated and balanced emotionally. 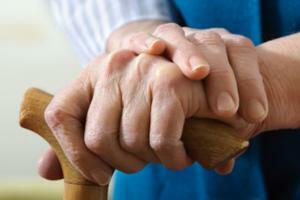 Arthritis can be so debilitating that often people will have depression as well. Acupuncture can also help with the inflammation and heat. Does the acupuncture - in this case - help with pain and mobility as well ? Is it only recommended before the condition gets bad ? How easily can one be diagnosed with Rheumatoid Arthritis or is this a condition that can be masked as something else ? Why are anti malarials used to treat rheumatoid arthritis ? I am curious which anti-malarial medication is used in this case? Is it Larium or Chloroquin? Chloroquin is fine, however Larium as I understand has a huge number of potential side effects on the nervous system. @kimberley, good question. I did a little reading on anti-malarials for the treatment of rheumatoid arthritis. It appears that they are not quite clear on the mechanism of action but it likely works in the immune cell pathway to decrease rheumatoid arthritis disease activity. 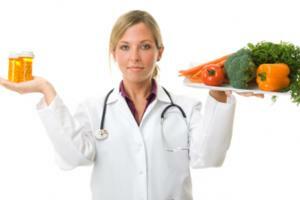 A dietician is a good suggestion as it is not an obvious specialist to consult for rheumatoid arthritis. 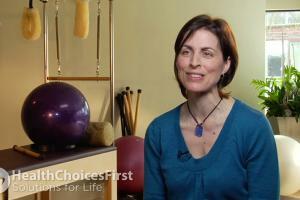 Health Choices First has a good video explaining anti-inflammatory food groups. Great post. It's amazing how what we eat can have an effect on things you wouldn't readily think of. @ K. Michael. I also wasn't aware of the link between food and inflammation. @ Yuan Lew. I'm going to have a look at the Health Choices First video on anti-inflammatory food groups. Sounds interesting! Thanks for the tip on the video on Health Choices regarding dietary recommendations for minimizing inflammation. It seems like a good program to follow whether you have RA (rheumatoid arthritis) or not. There are many foods that can be used to help with inflammation, but some people find it helpful and others don't. I think with arthritis it is very frustrating for patients because it is a trial and error situation. Food, medications (so many different medications), Physio, exercise, no exercise (or finding the right exercise). I really feel for people that go through this.. there just seem to be so many treatment options that may or may not work.